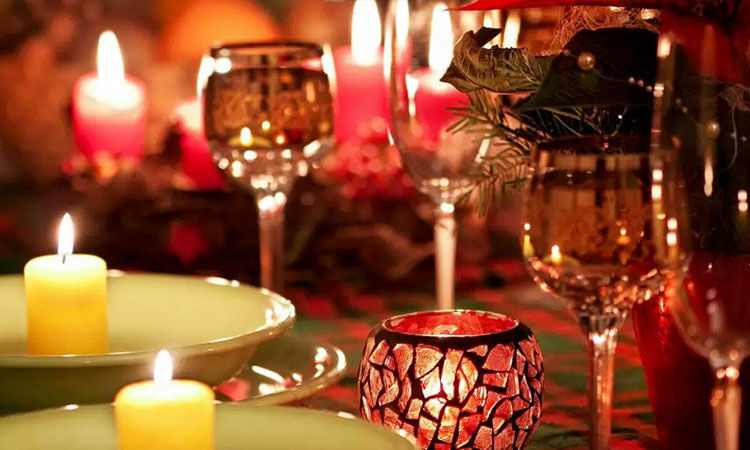 If material gifts aren’t your thing, don’t worry, we’ve got you covered! 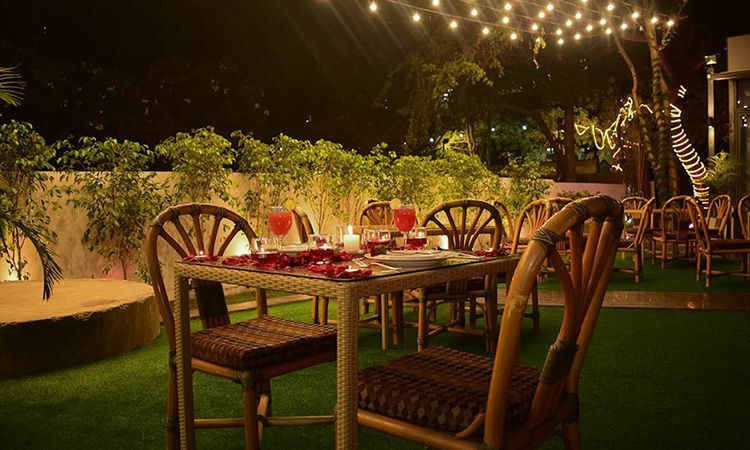 Choose from a range of different experiences in Delhi ranging from romantic candle light dinners to unique fine dining restaurants and private movie screenings to gift the most portable, durable and accessible gift in the world: a memory. 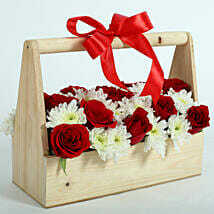 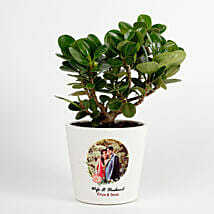 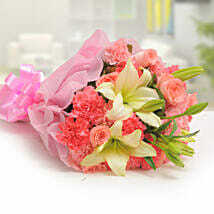 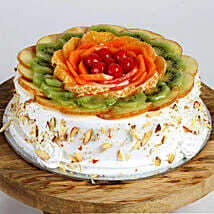 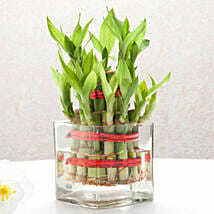 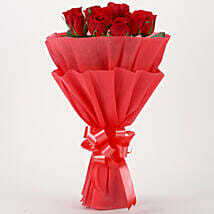 The number one online gift portal of India, Ferns N Petals launches FNP Experiences. 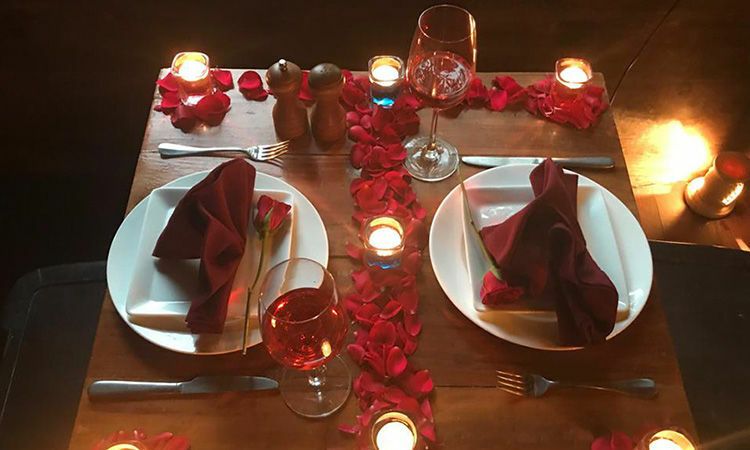 It is a service that would allow the customers to experience romantic dates with their partners in an amazing decorated ambiance paired with delicious 4 course, 5 course meals. 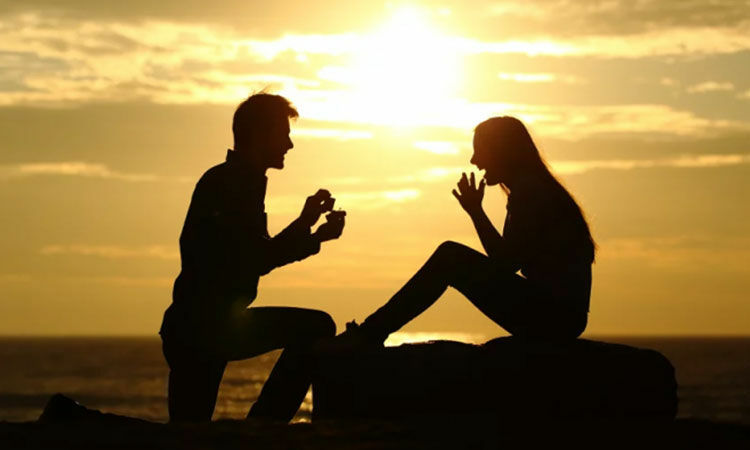 The current lifestyle demands to be highly active in professional life and with that comes a whole package of other things that leaves with a meager amount of time for the love of your life. 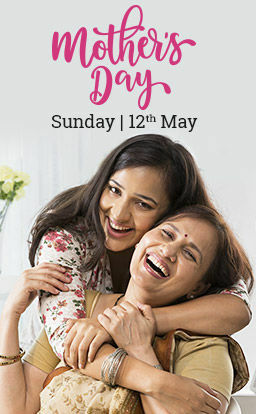 Moving with traffic to reach the office, returning home late post work, wanting to spend the weekends sleeping- this is the story of everyone’s life. 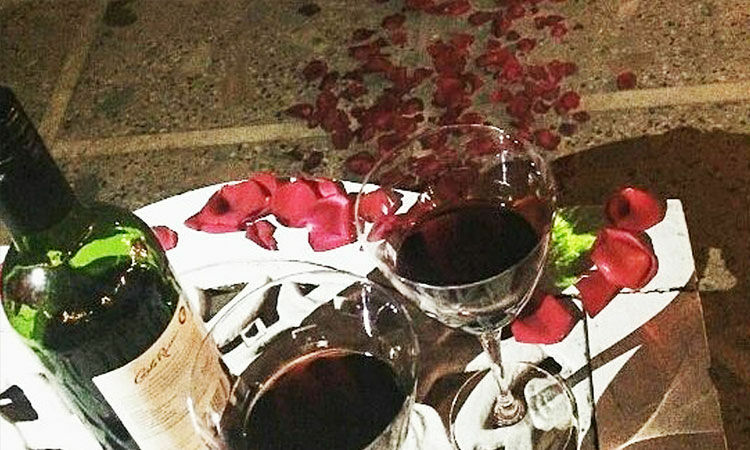 And then love eventually starts to fly from the windows. 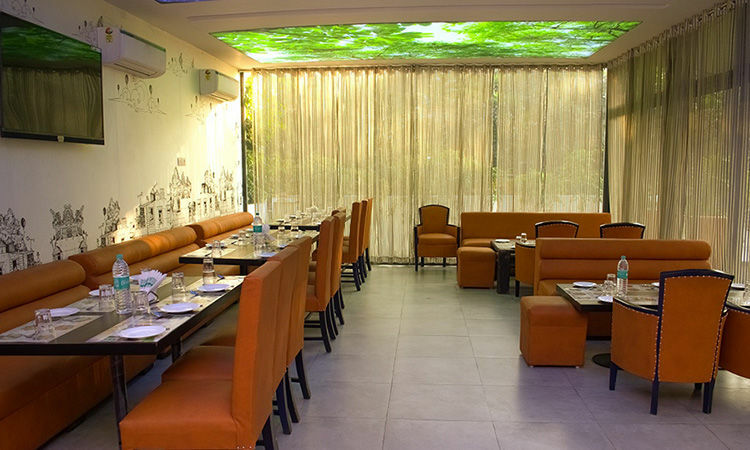 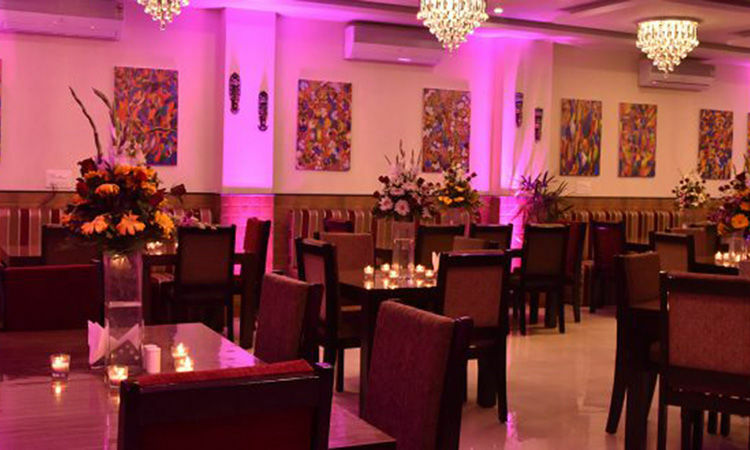 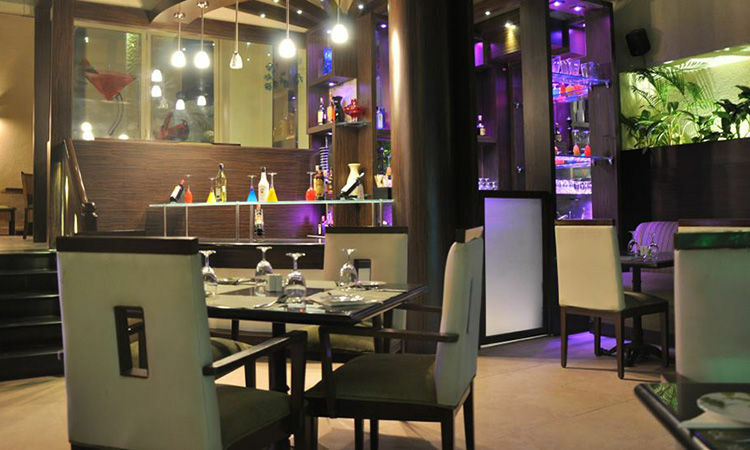 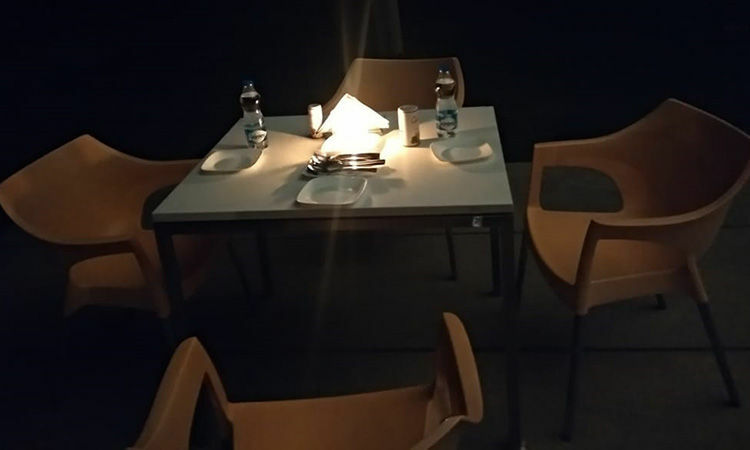 Modern Candlelight at Tashan Hotels and Resorts, New Delhi: Located in a posh locality of Delhi, Greater Kailash, this is a perfect place for Dinner Date for Couple. 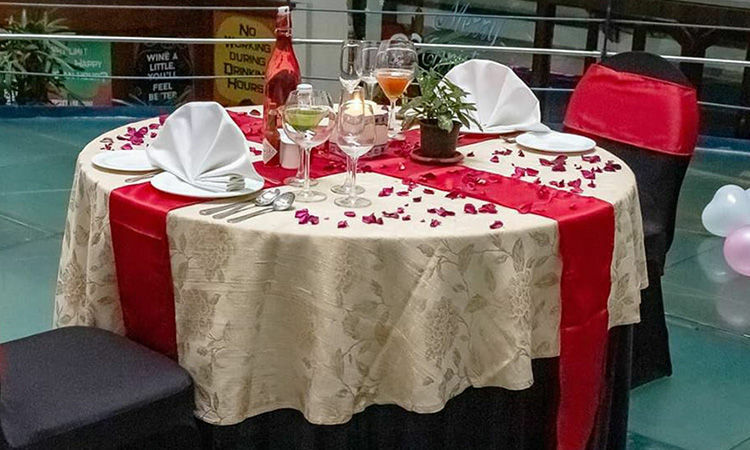 Two welcome drinks along with a 4-course meal including 2 salads/soups, 2 starters, 2 main course, and 2 desserts are there to offer you a great culinary experience. 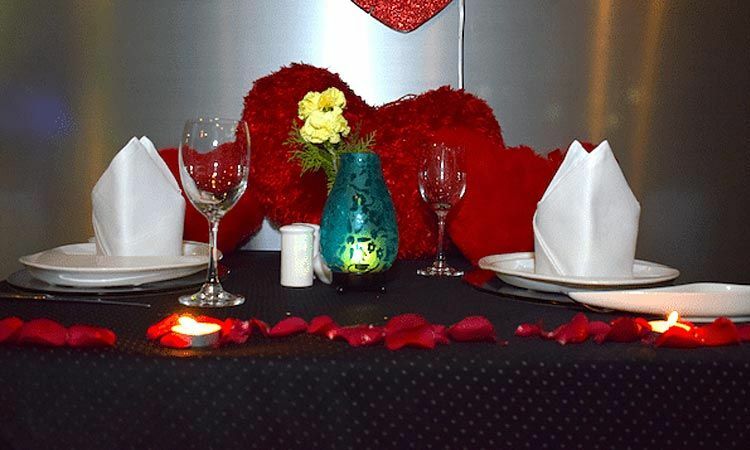 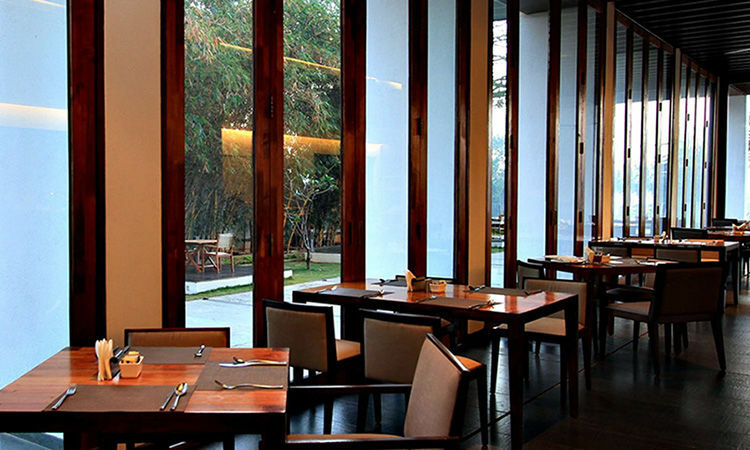 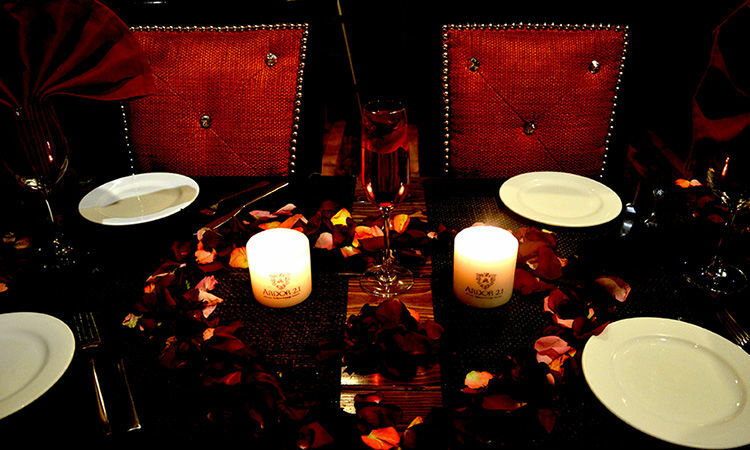 Great place, amazing décor, and good food would set the right romantic cords with your partner. 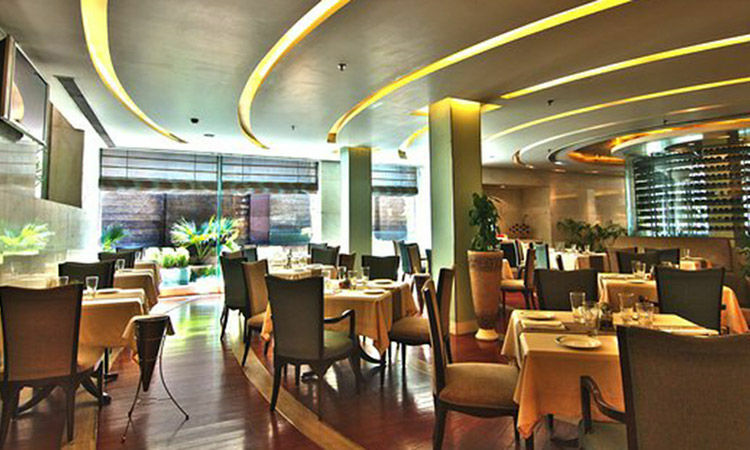 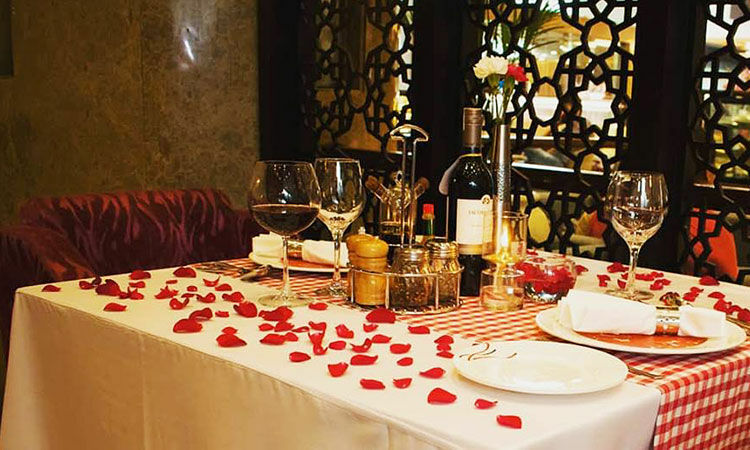 Candlelight by Lutyens New Delhi: The special quality of this hotel is that they provide a romantic theme dining experience to couples. 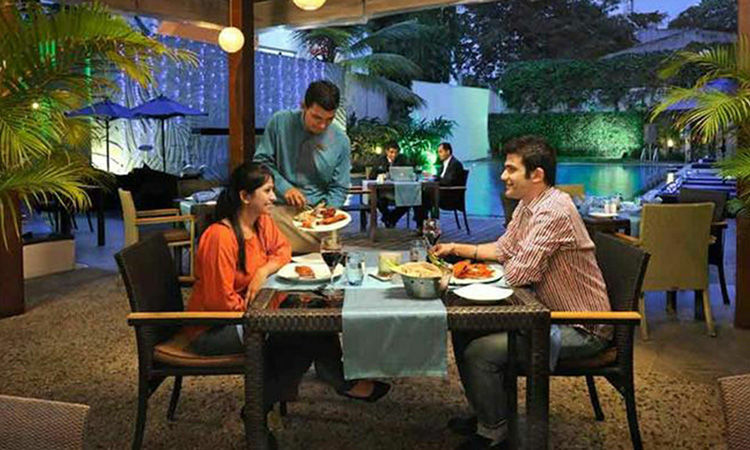 A 4-course veg North Indian meal along with welcome drinks, tea or coffee are served. 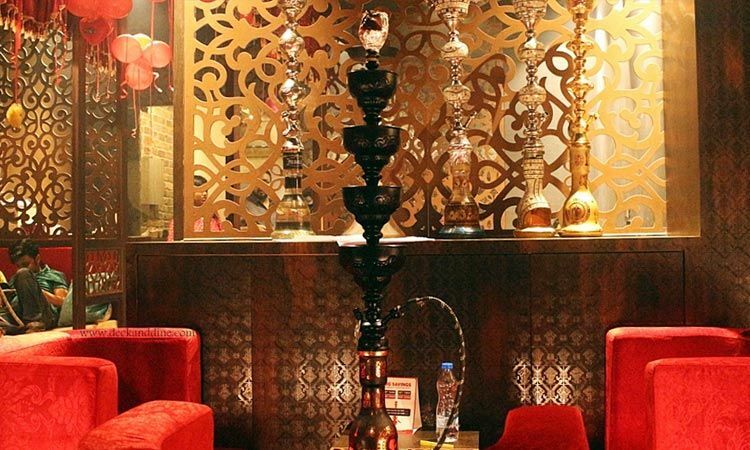 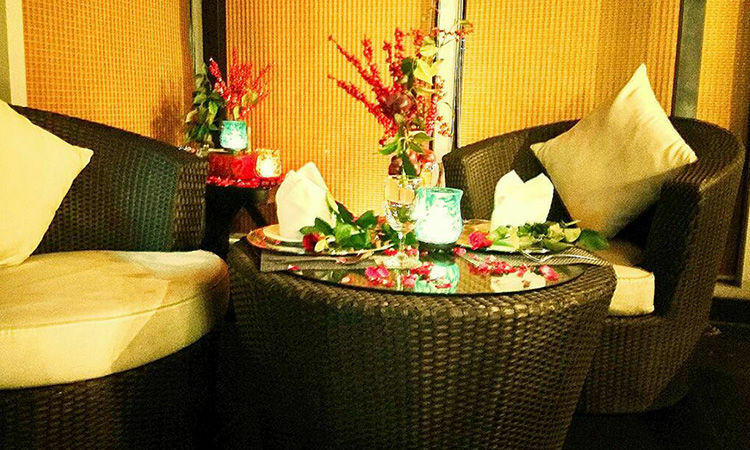 Simply walk into this classy and elegant place to enjoy a private moment with your lover. 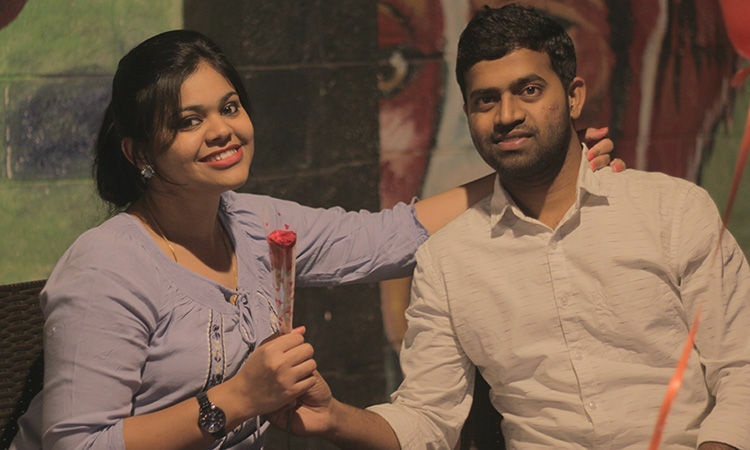 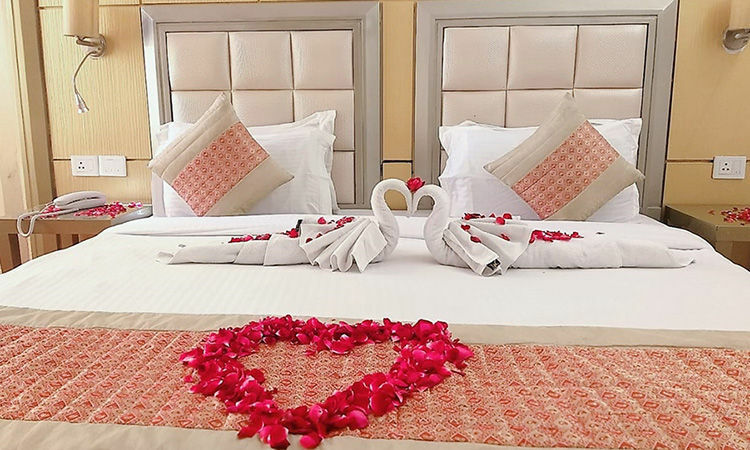 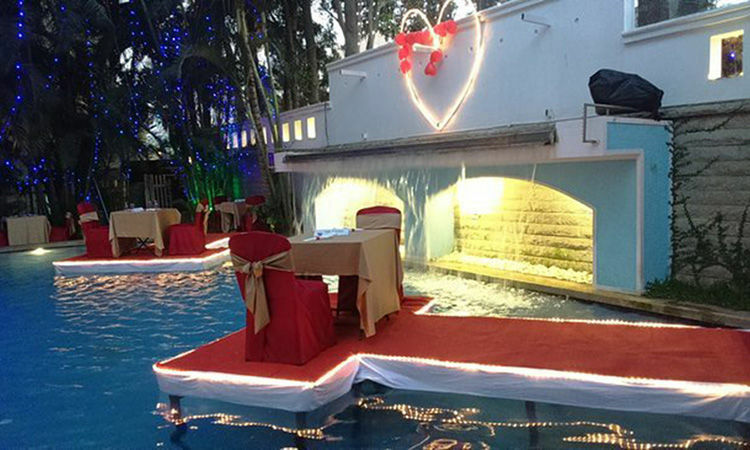 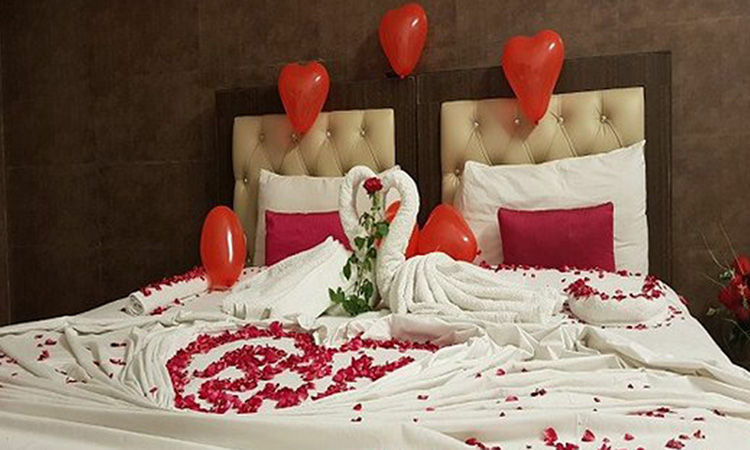 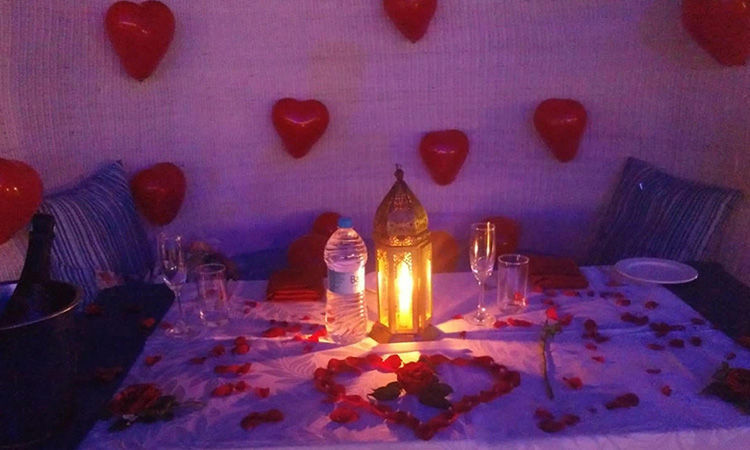 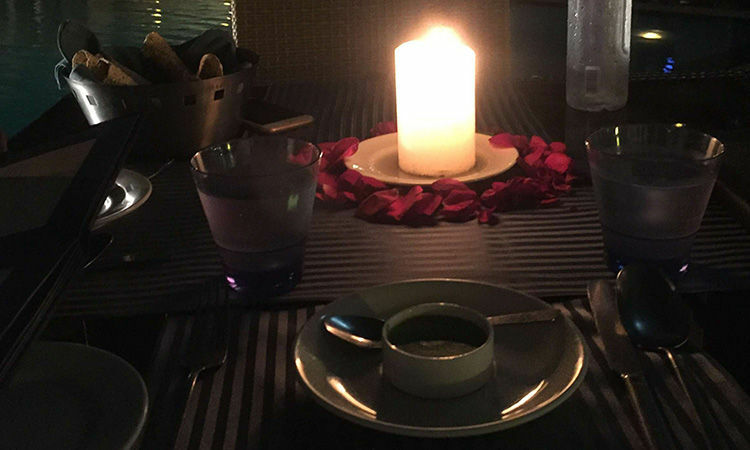 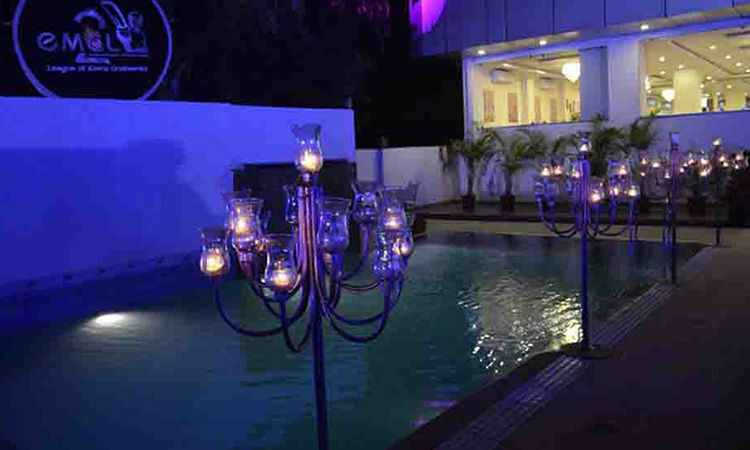 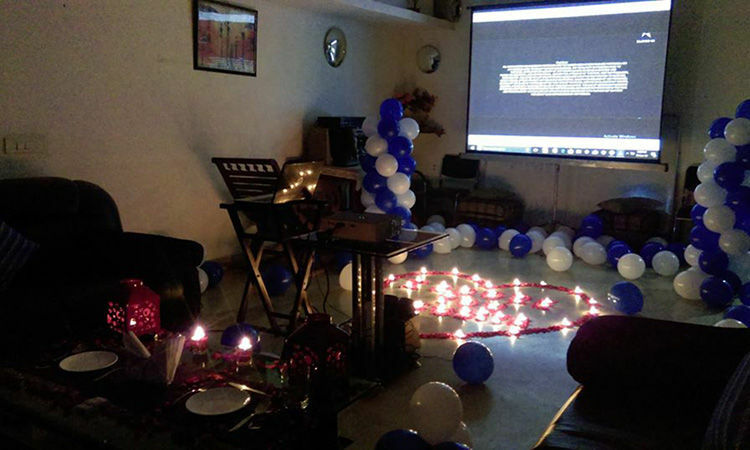 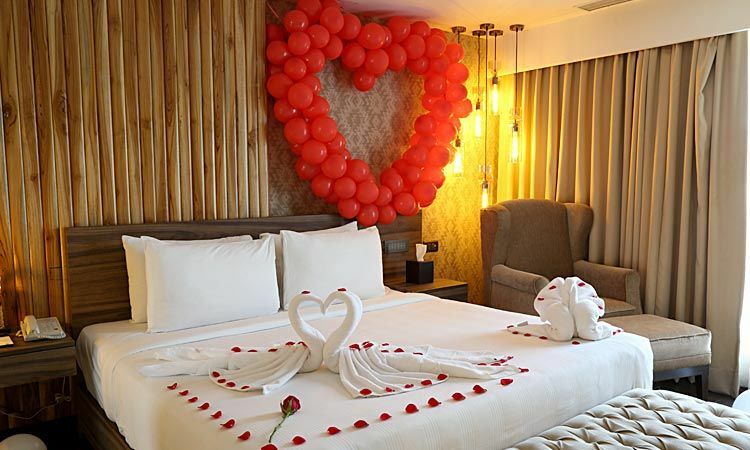 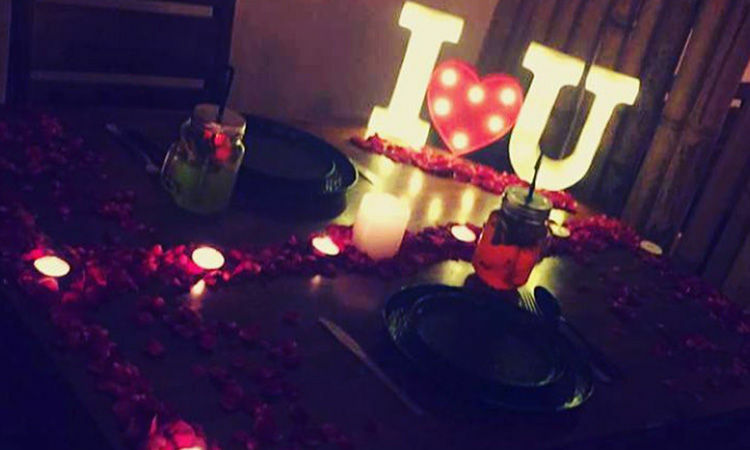 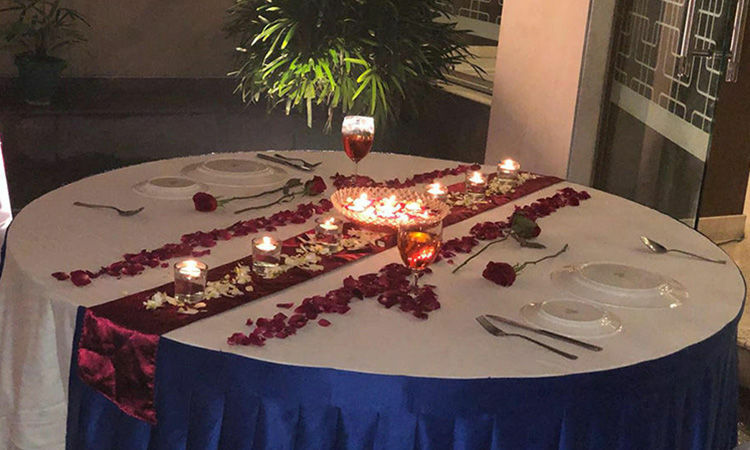 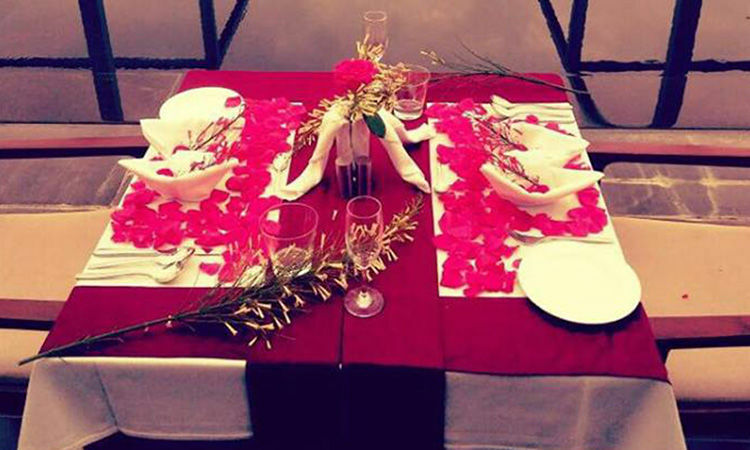 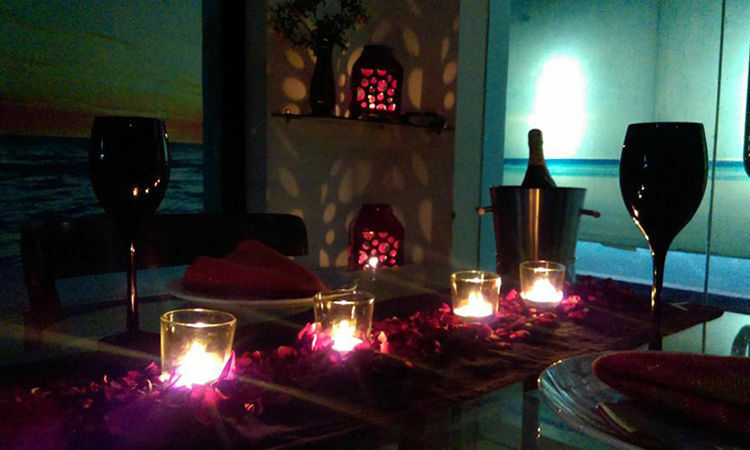 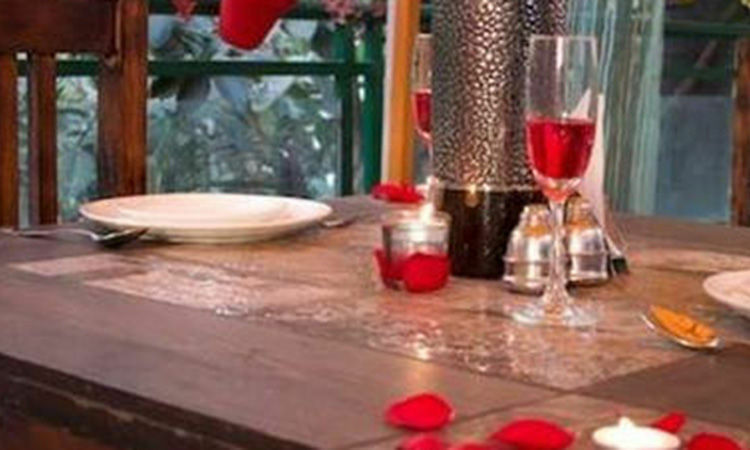 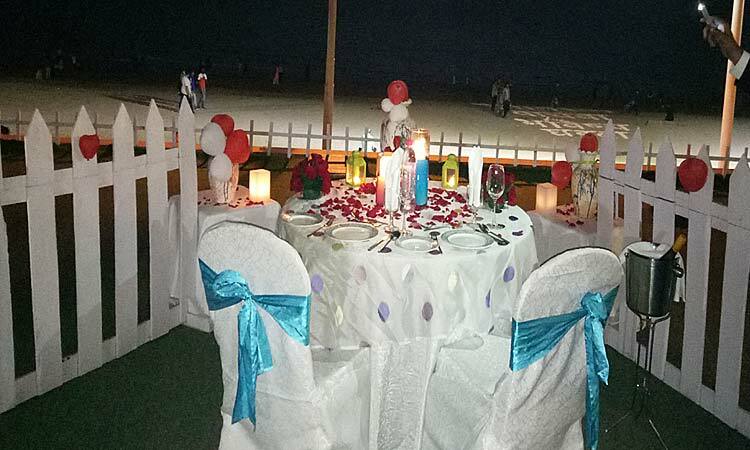 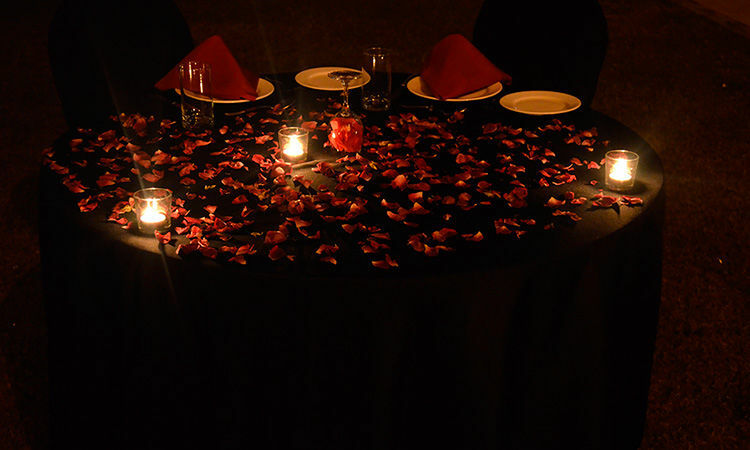 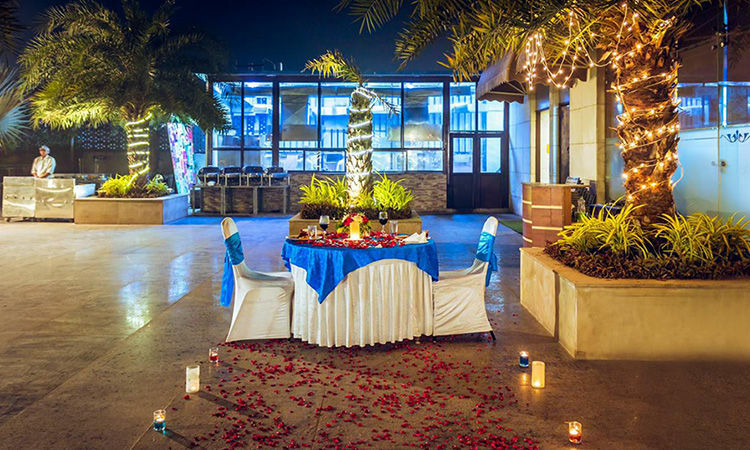 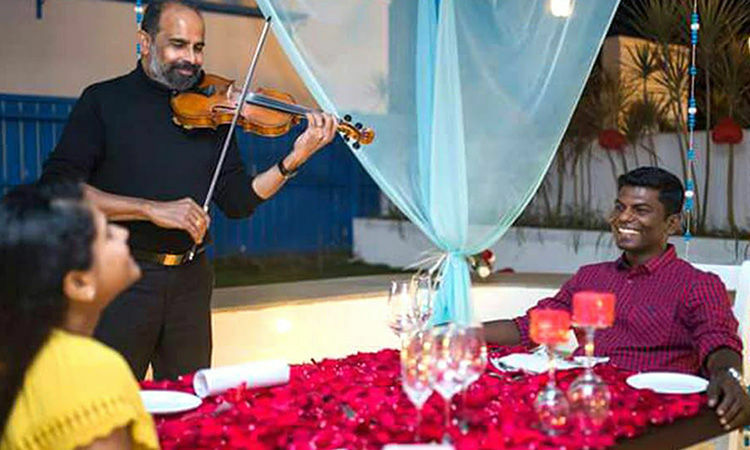 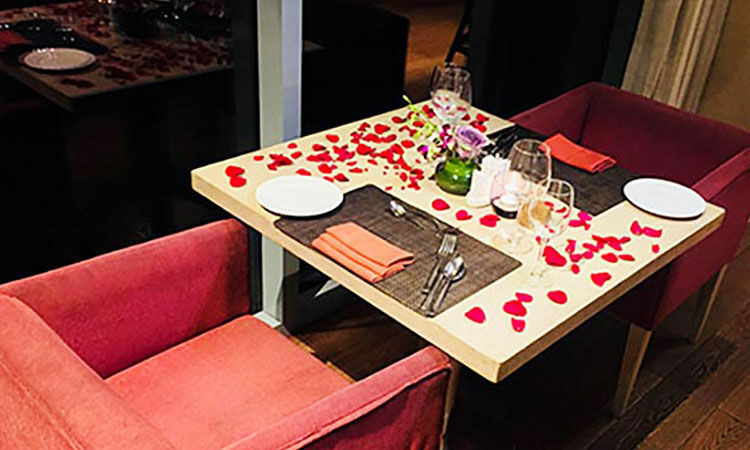 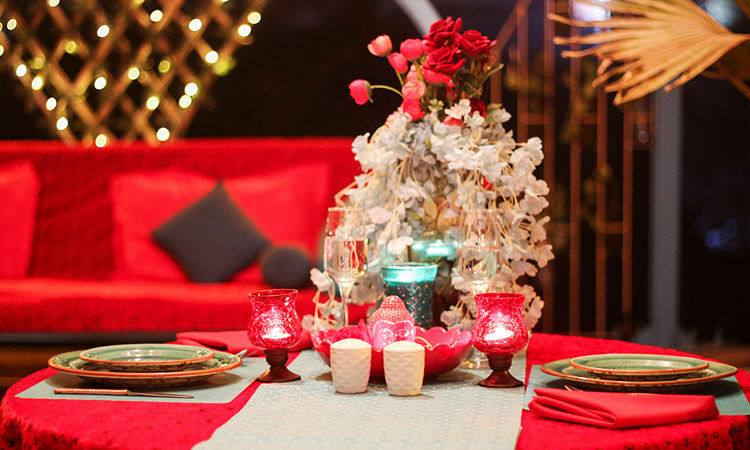 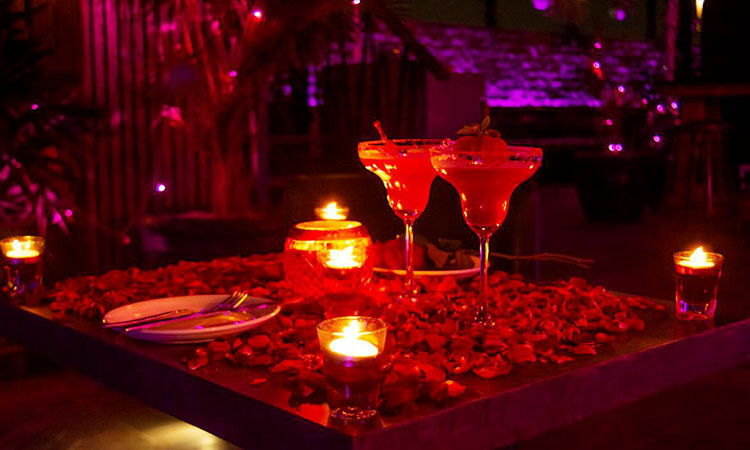 Romantic Candlelight by Gravity Noida, Uttar Pradesh: Let romance be the keyword when the occasion is something special like a birthday, anniversary, Rose Day, Propose Day, or Valentine’s Day. 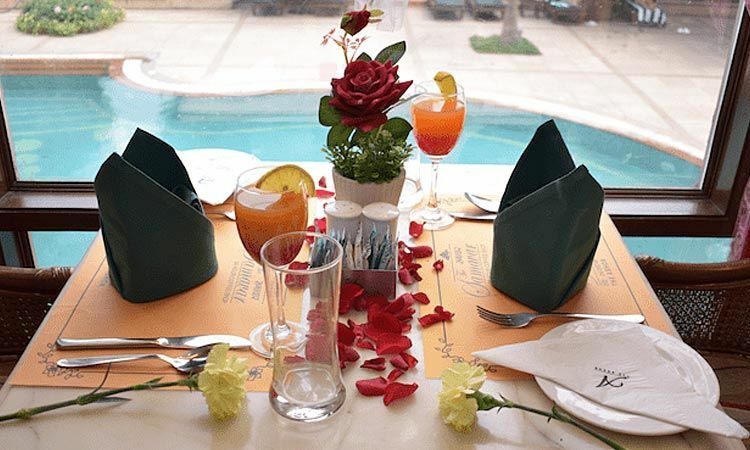 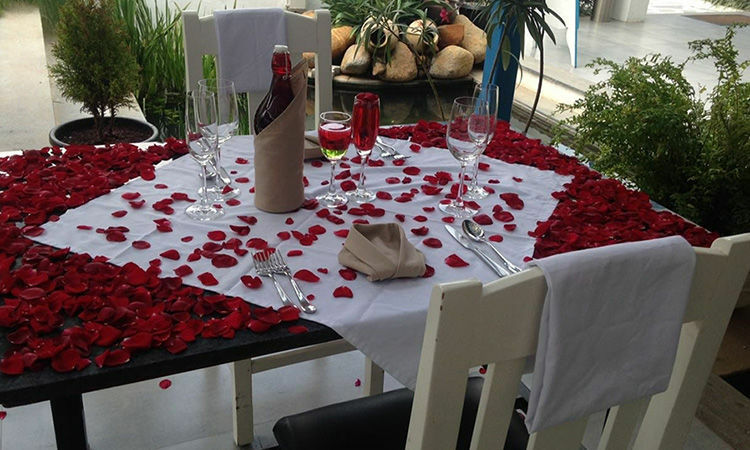 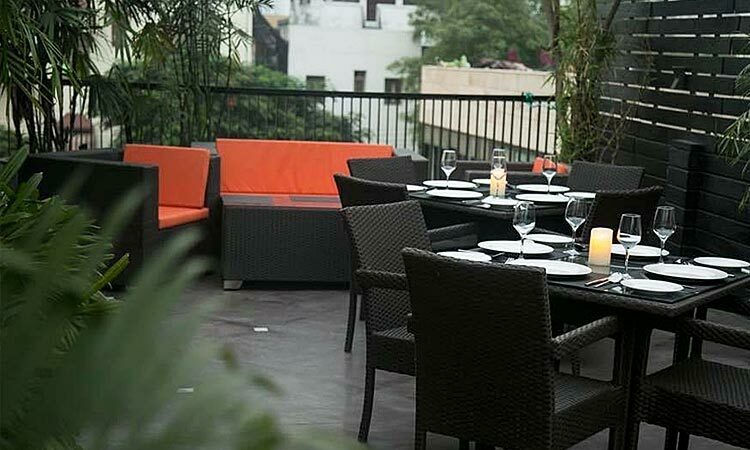 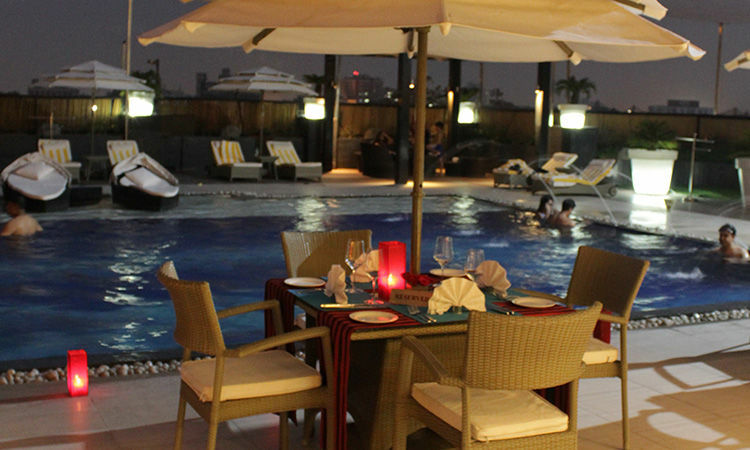 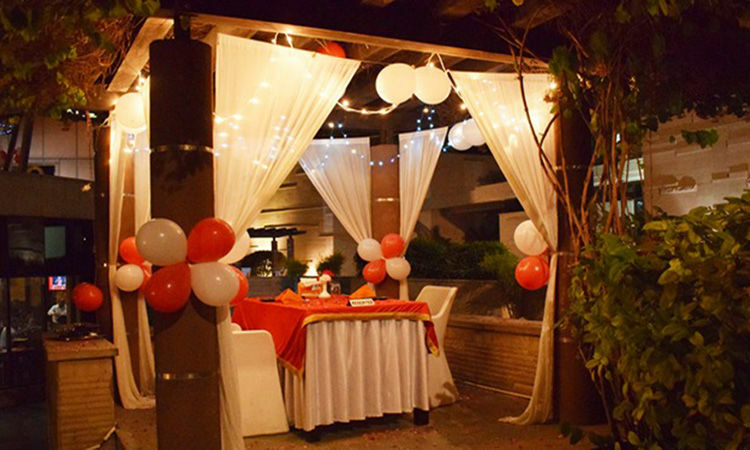 Enjoy a sizzling romantic candlelight dinner for couple here where you can sit indoors or at the roof. 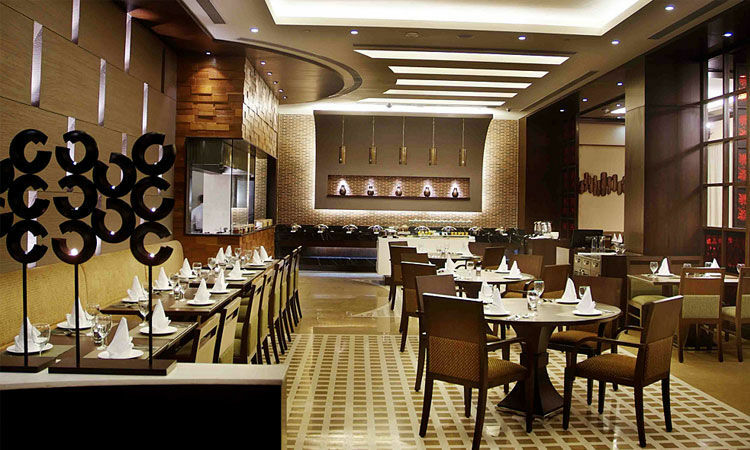 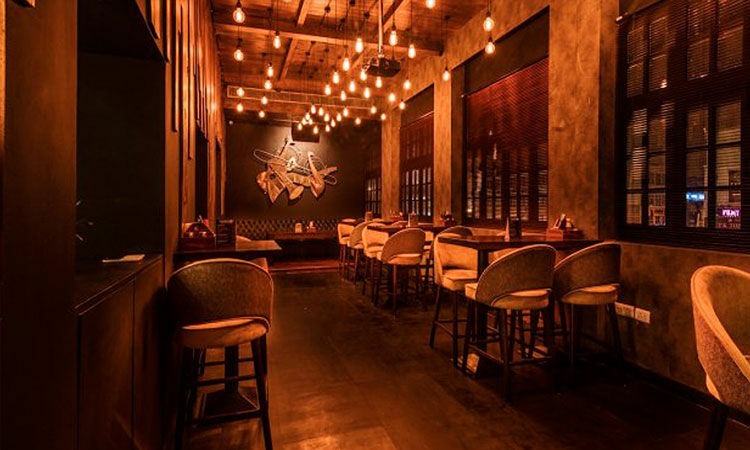 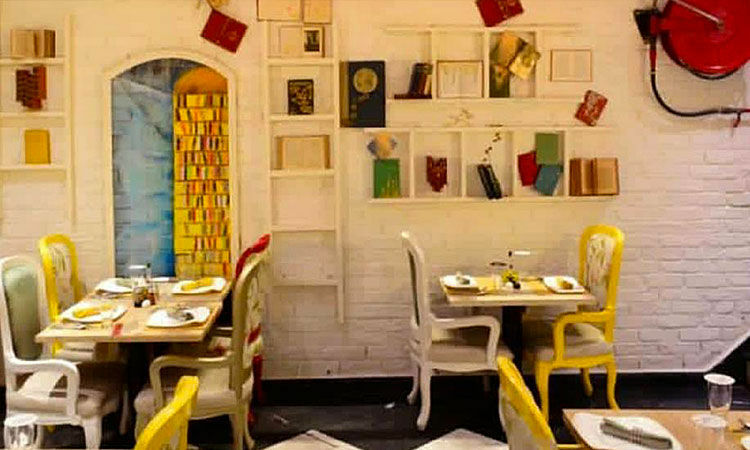 Set in Sector 18, Noida, this place serves lip-smacking food. 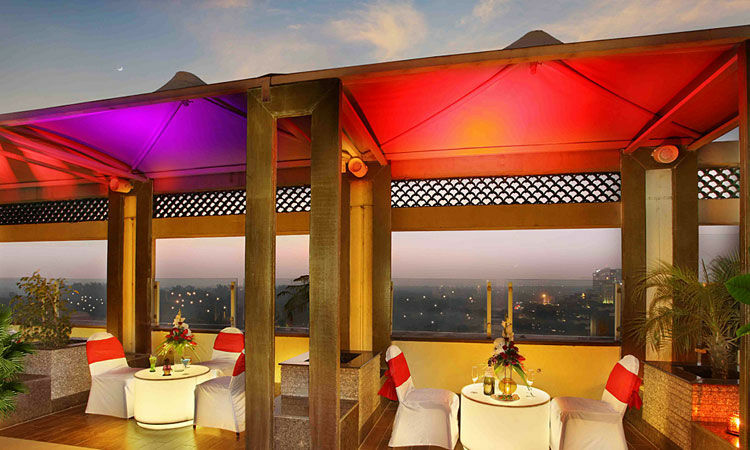 Rooftop Candlelight New Delhi: Here, the hotel hospitality department would greet you with a decorated table on the roof. 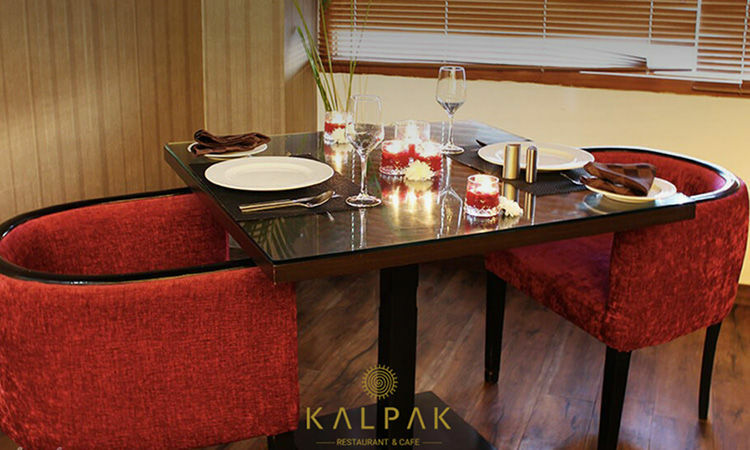 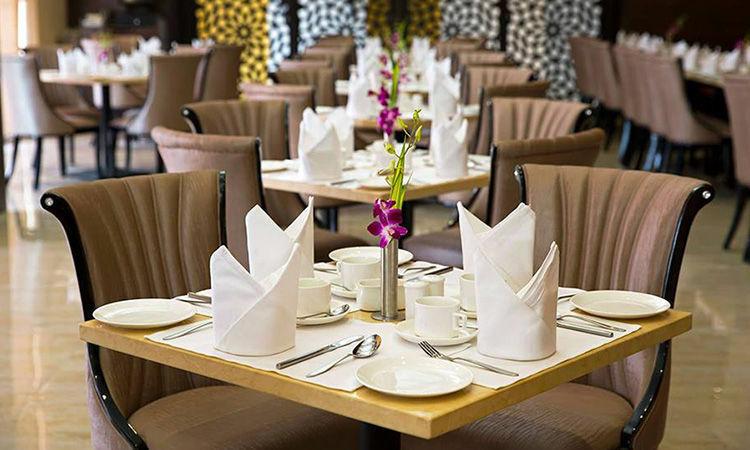 You would be served a 4-course veg North Indian meal along with welcome drinks and coffee/tea. 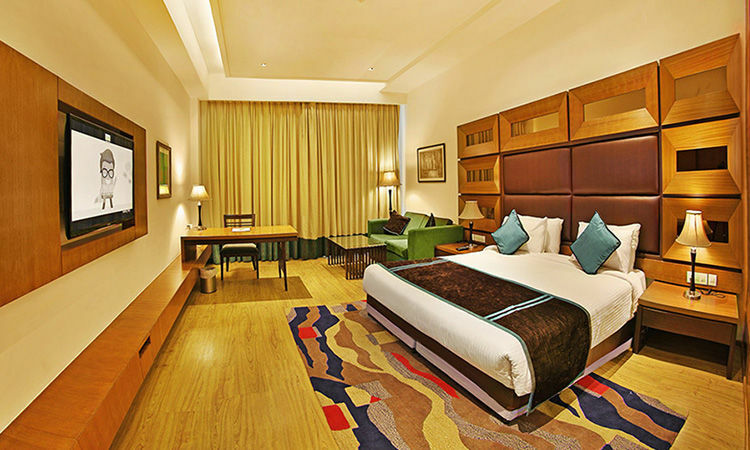 The lush green view would give you a peaceful vibe. 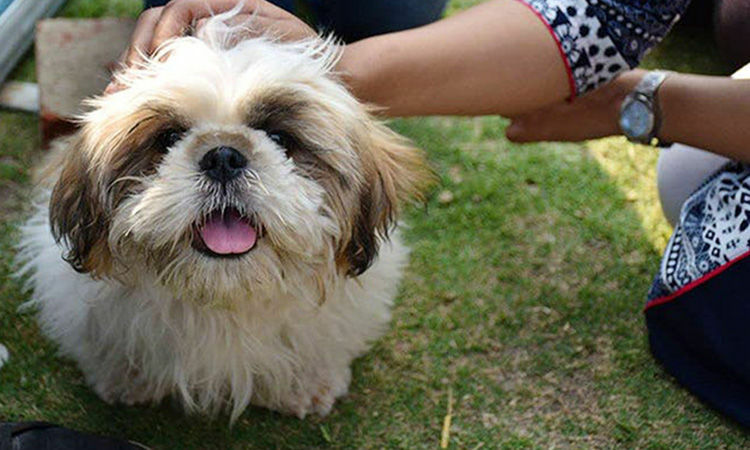 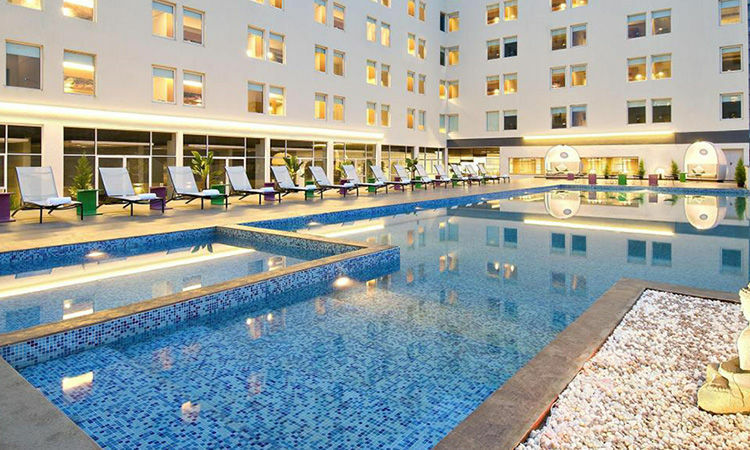 Located on the MG Road, it is easily accessible. 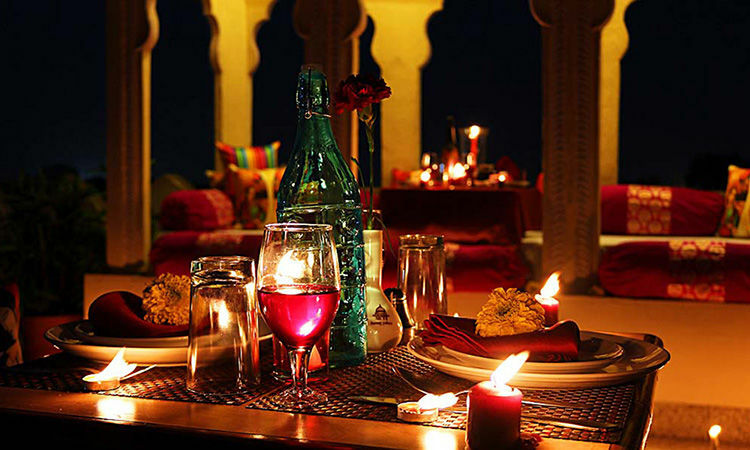 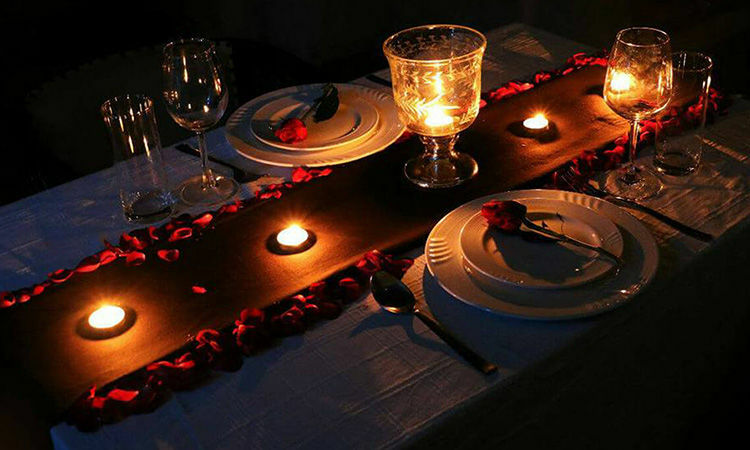 Enjoy this awesome and Romantic Candlelight Dinner for Couple! 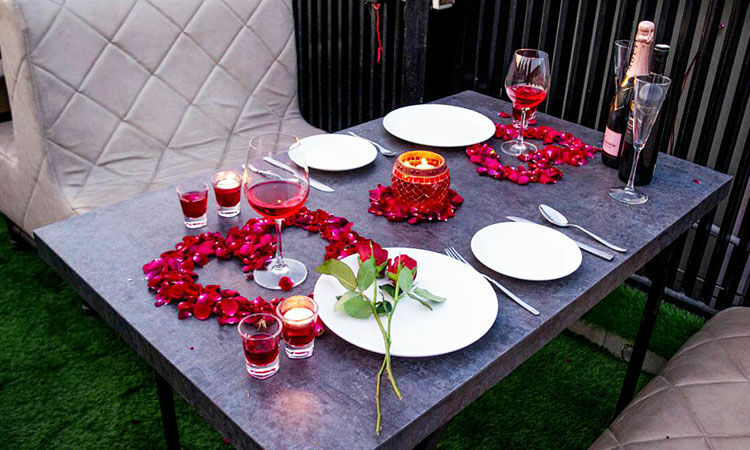 Food on the Fly, Runway 1, Delhi: How about a romantic dinner date on the roof of an aircraft? 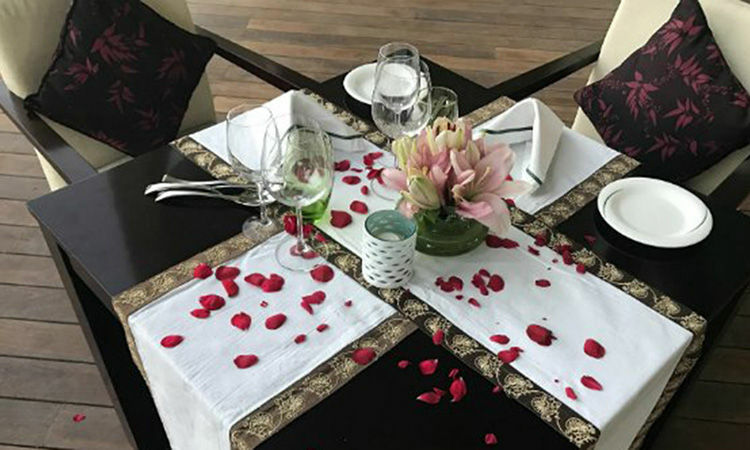 Placed in Rohini, this restaurant offers a grand 6-course meal on a fabulously decorated table on the wing of an old aircraft. 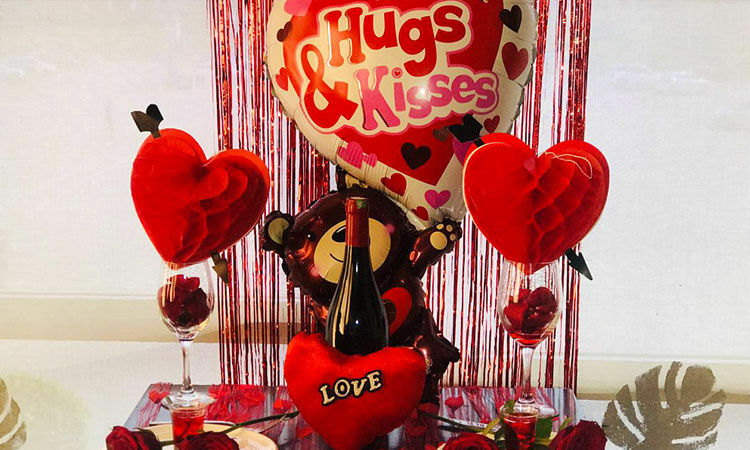 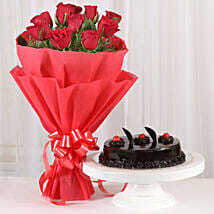 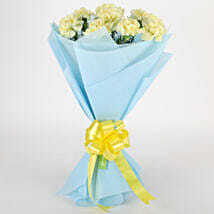 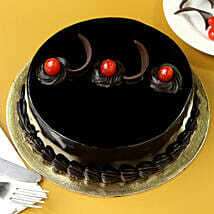 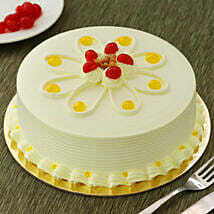 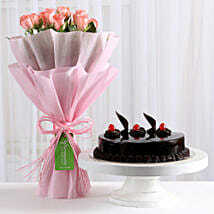 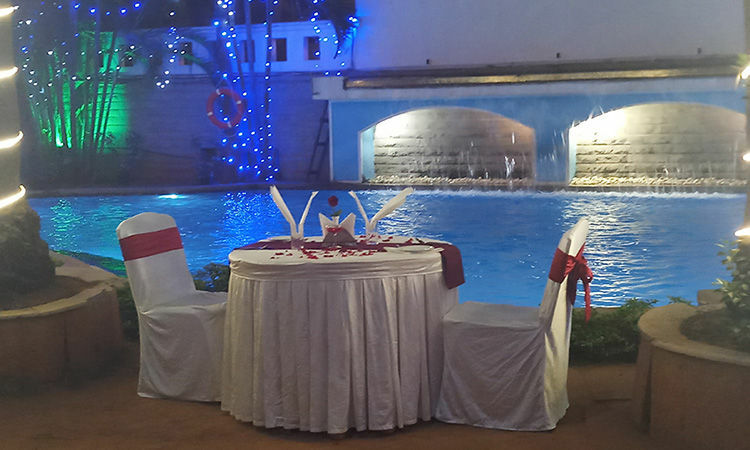 You would also get a complimentary cake and a bouquet of flowers that would heighten the romance for sure. 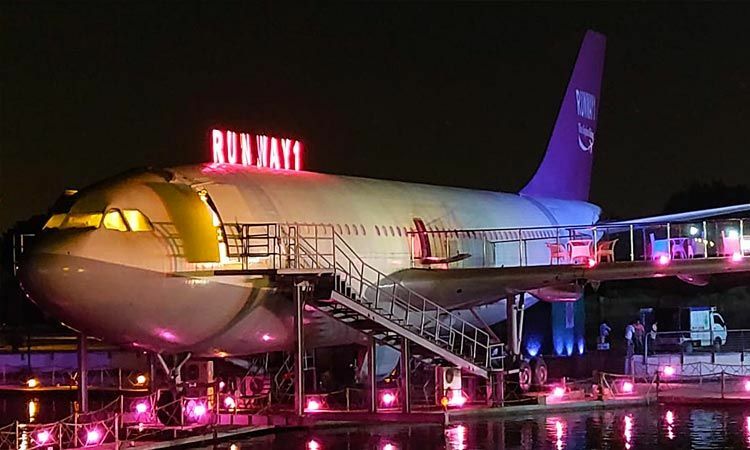 So, fly away from the crowd and enjoy with your partner here in this airplane. 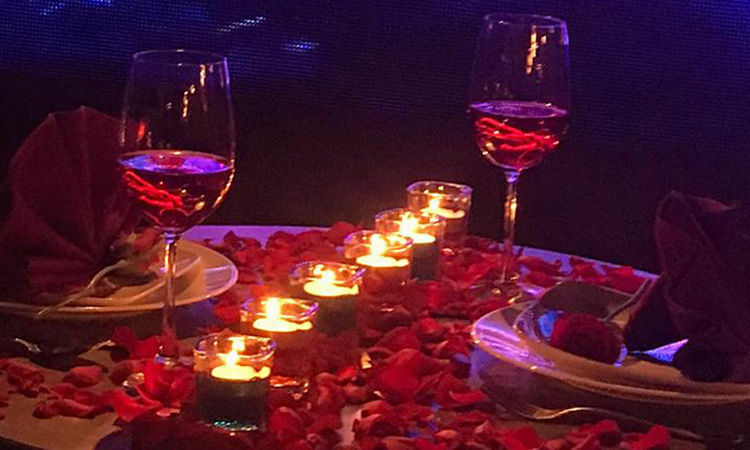 Wanting privacy in a relationship is absolutely fine. 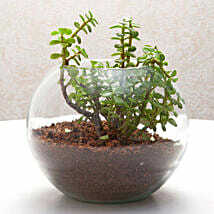 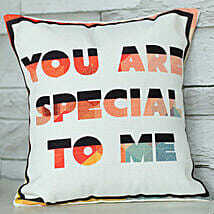 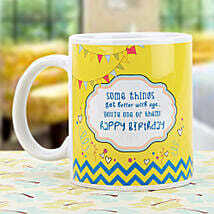 All through the day, week, or month, you are surrounded by friends, relatives, family members etc. 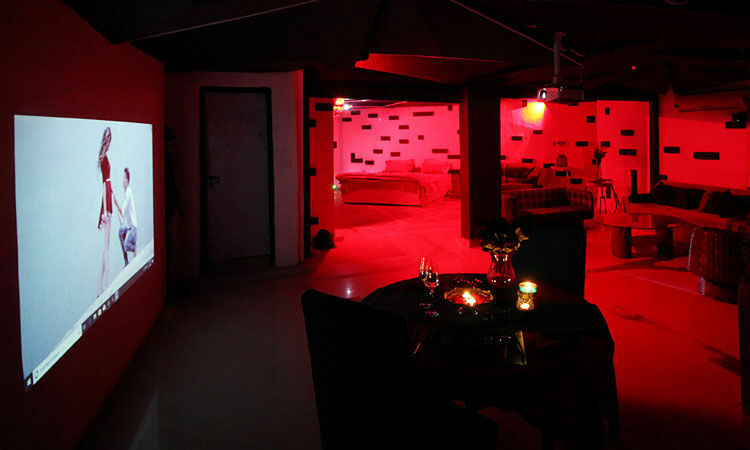 And thus wanting some “alone time” with the one you love is very normal. 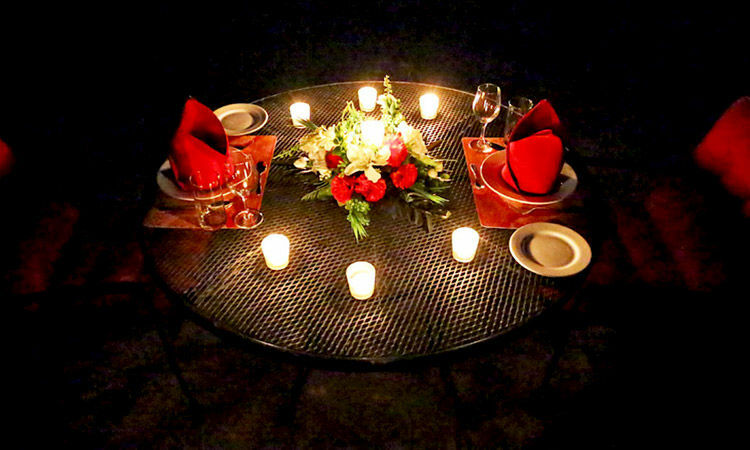 This “alone time” would polish your relationship for sure. 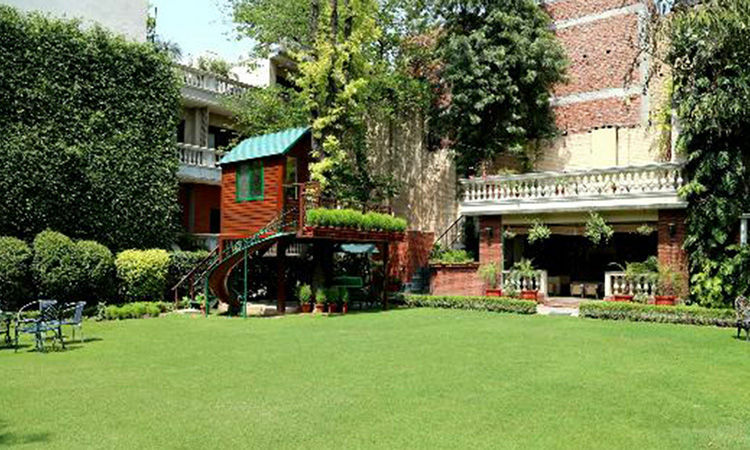 You can book any of these services of FNP Experiences in Delhi/NCR. 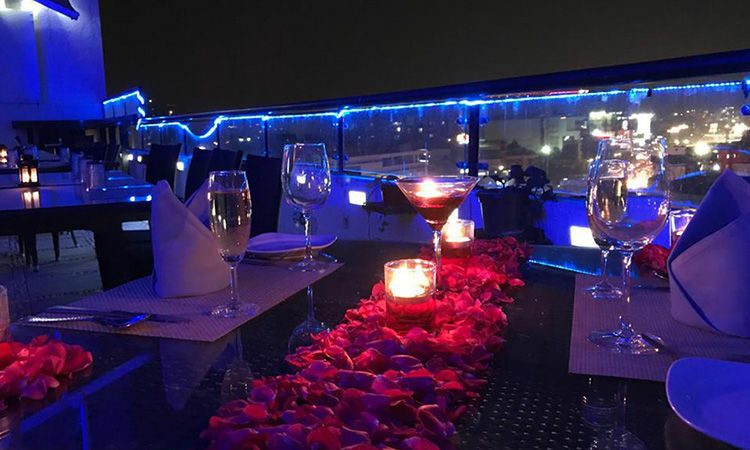 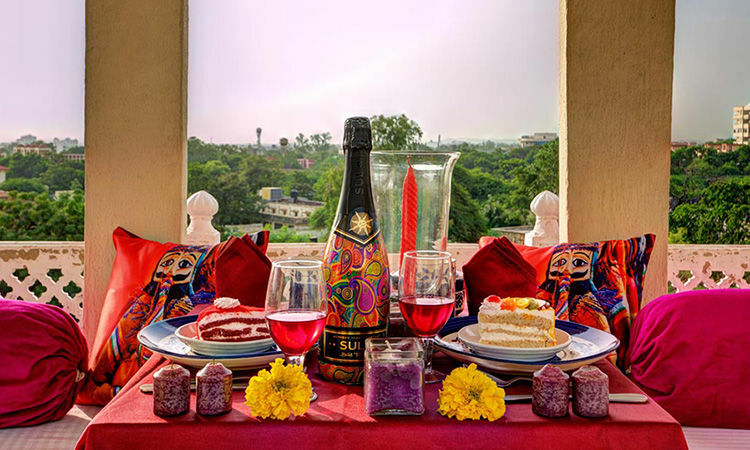 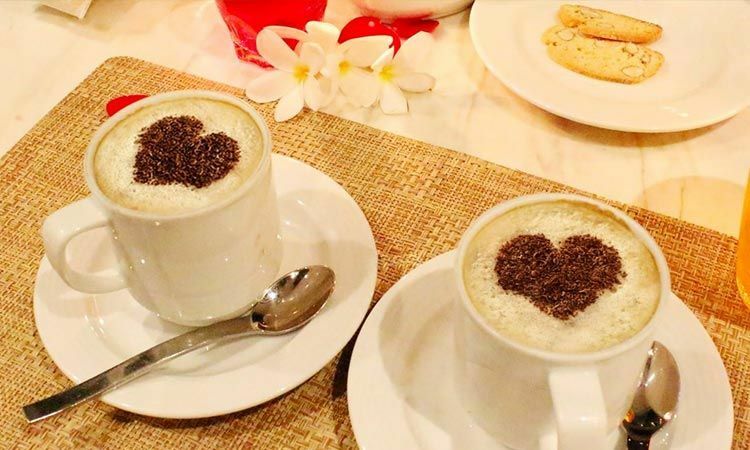 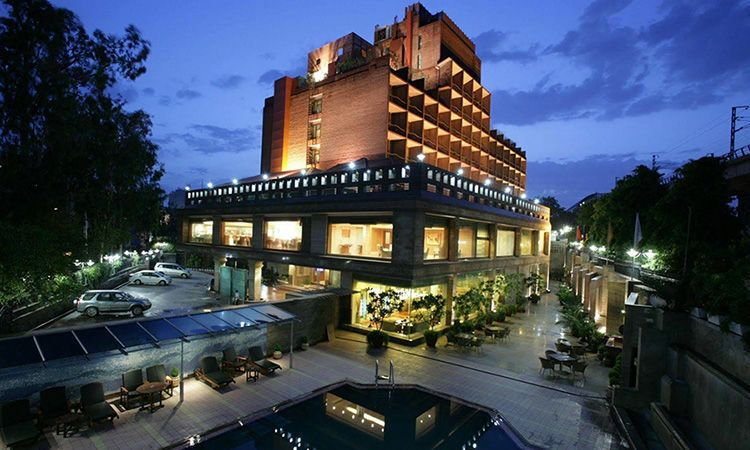 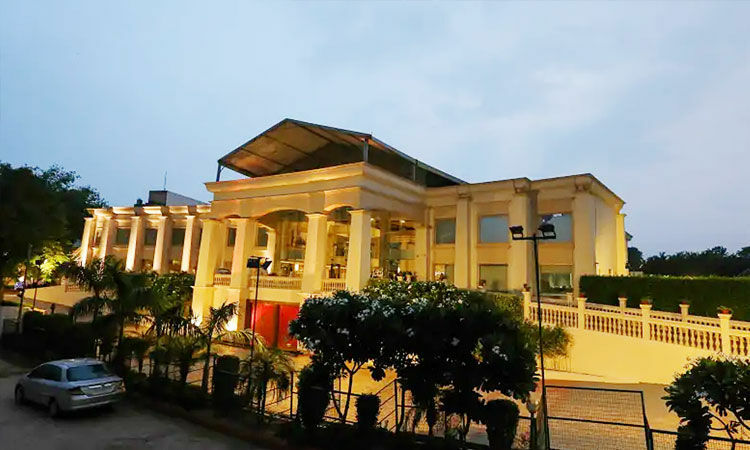 The Perfect Date, Udman Hotels and Resorts, New Delhi: Be it a birthday, anniversary, extended weekend, Valentine’s Week, or any other special reason, when you want a perfect Movie Date & Dining, Udman Hotels & Resorts is the address for you. 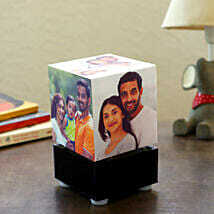 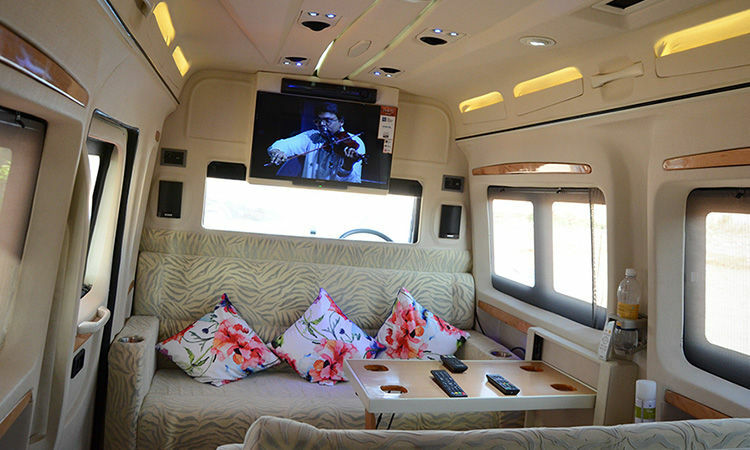 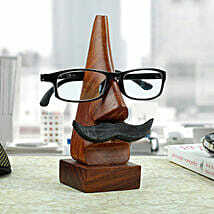 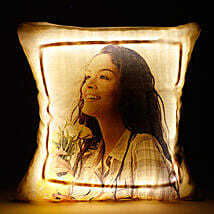 You can carry the CD’s or Pen Drive carrying your favorite movies and spend a relaxing time with your darling. 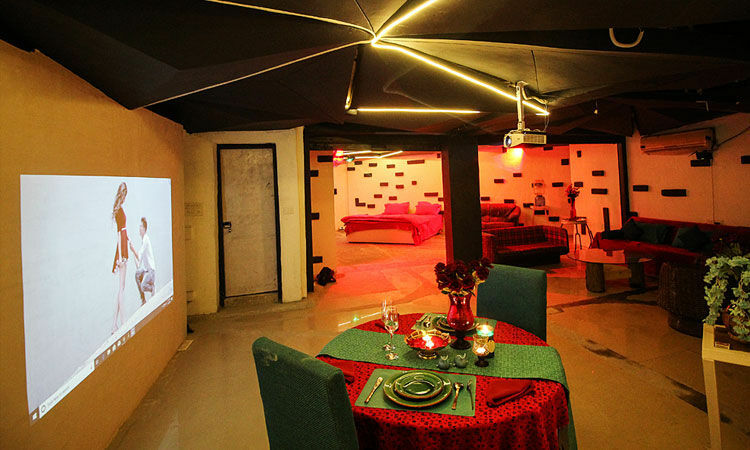 So, you can rent a decorated suite for 4 hours that has a 50 inch TV. 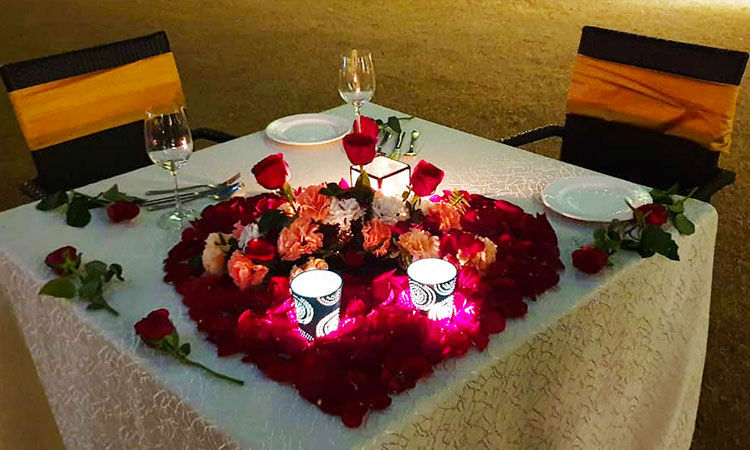 Along with that, you would be treated with a 4-course meal at the balcony of your suite so that you enjoy complete privacy. 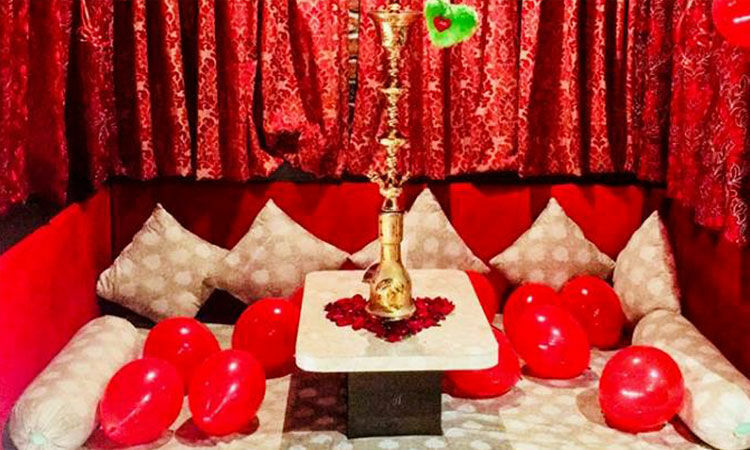 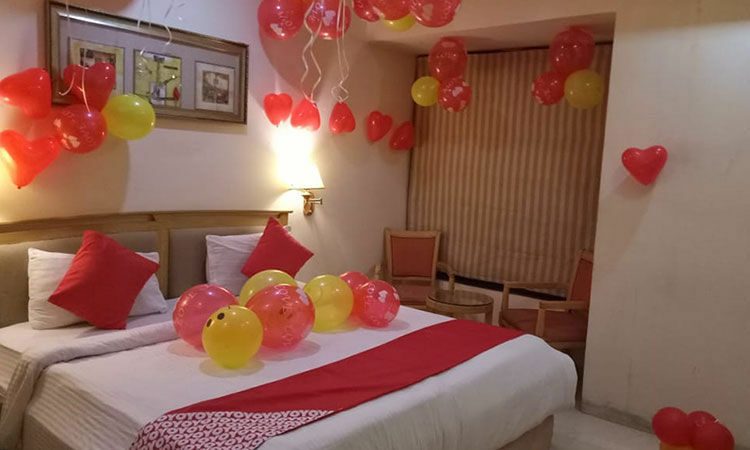 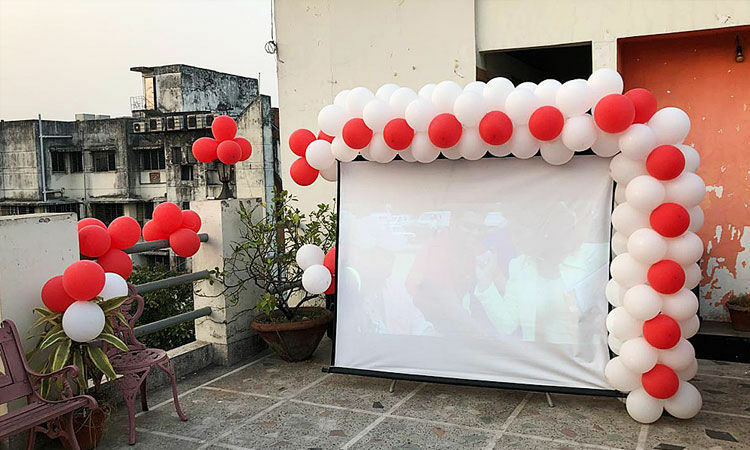 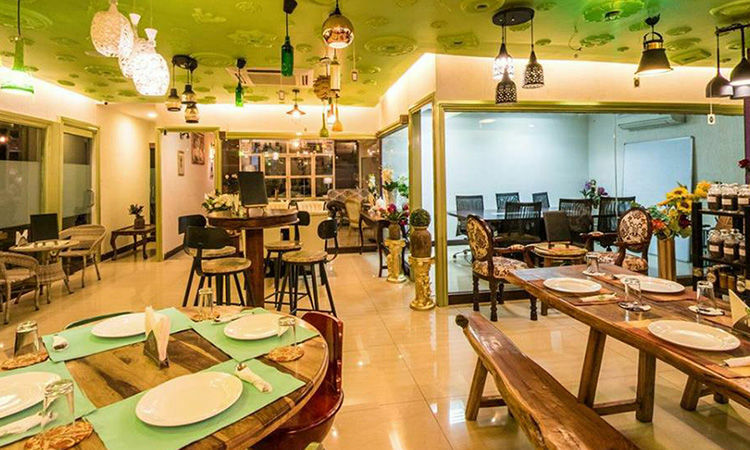 Private Room with Dinner & Decorations, Maven's House, Gurugram, Haryana: You can rent a room in this place that is beautifully decorated with balloons. 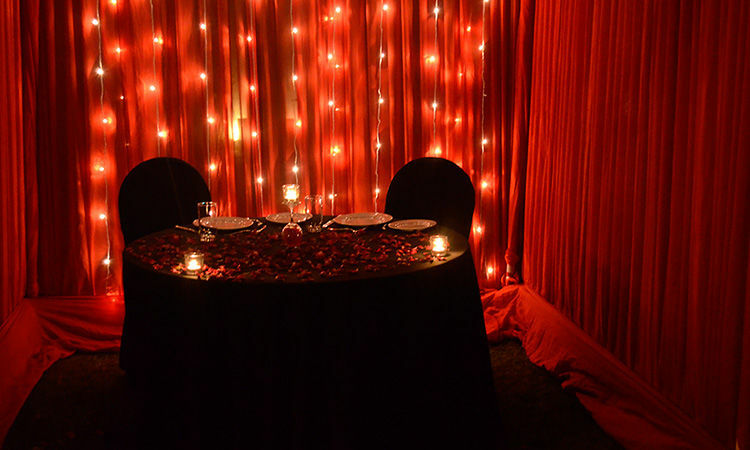 Along with this private room decoration, you would get a private butler who would serve you a 3-course meal and provide you with an unforgettable experience. 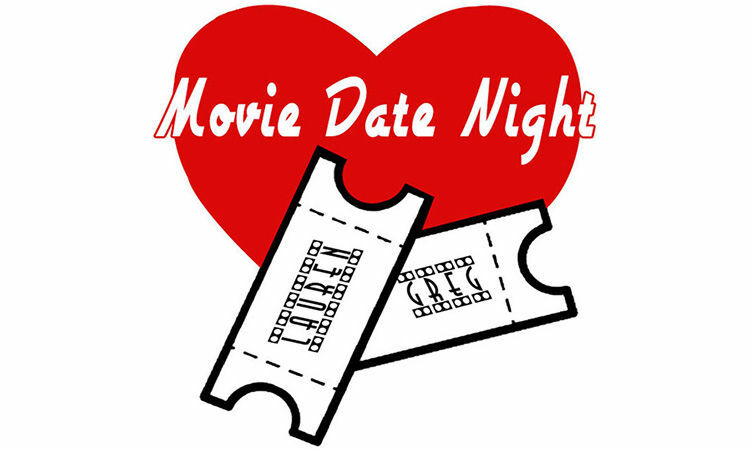 So, enjoy this romantic date and movie for two! 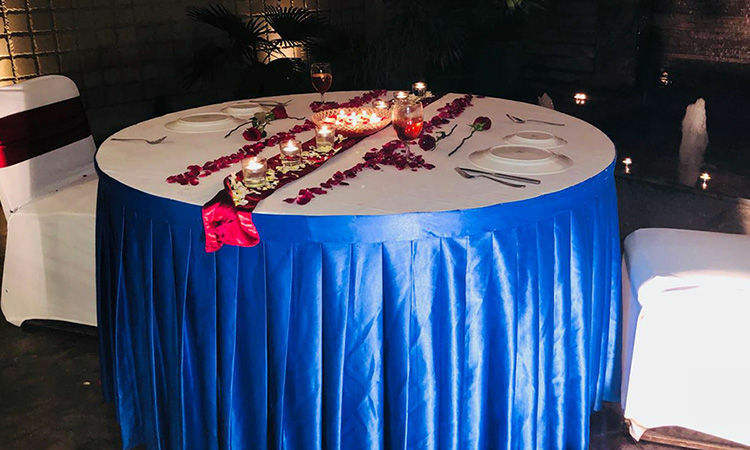 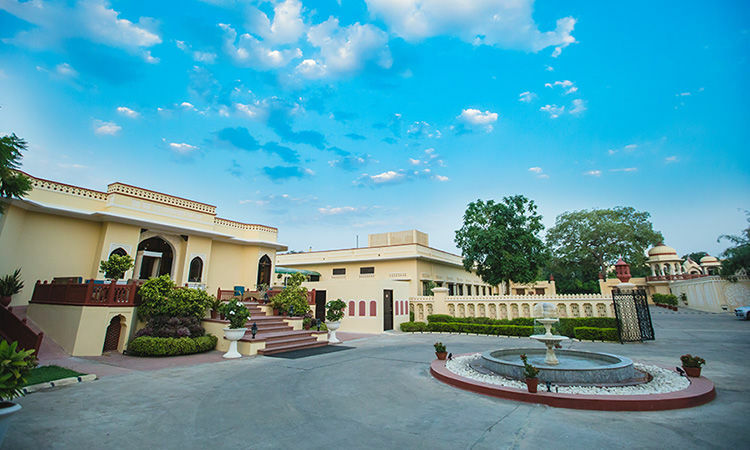 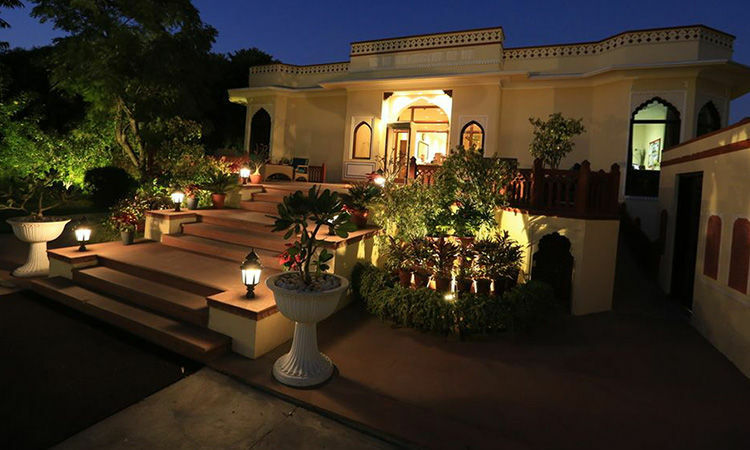 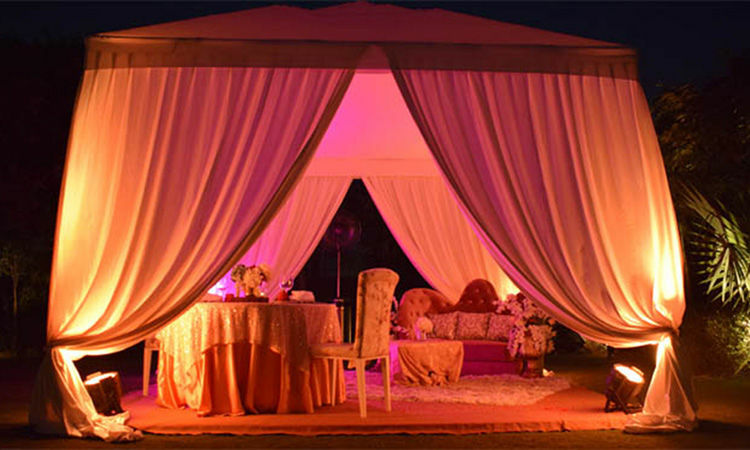 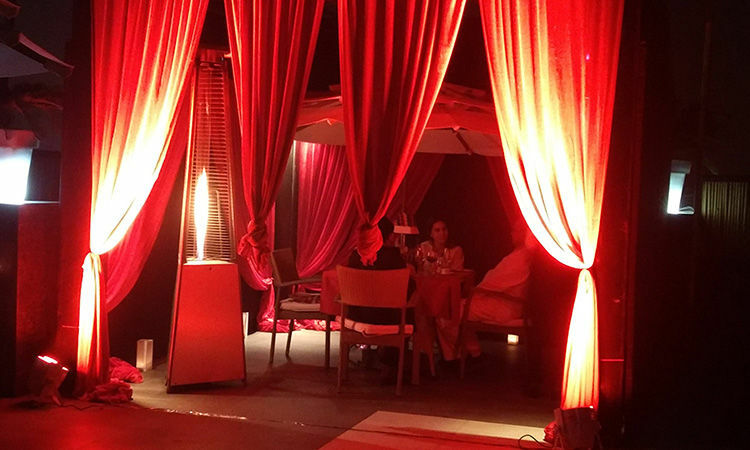 The Cabana Experience, Sultanpur, New Delhi: Hotel Lutyens has organized this mesmerizing Cabana Experience giving the couples complete privacy along with great food, enjoyable ambiance, and great service. 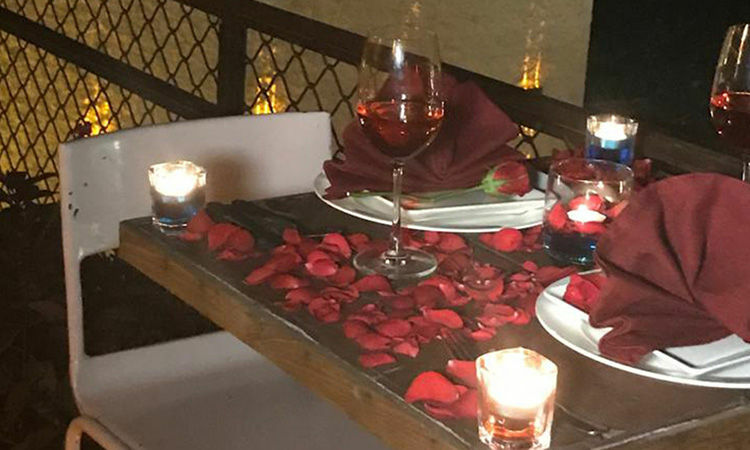 The enchanting Cabana is decorated with candles and rose petals which would elevate the romantic feelings and thus it is a perfect birthday, anniversary, Propose Day, or Valentine’s Day gift. 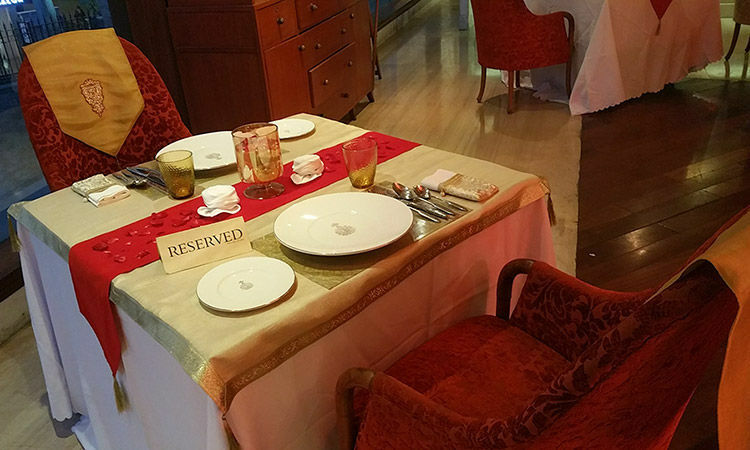 You can enjoy a pleasant veg/non-veg 5-course dinner. 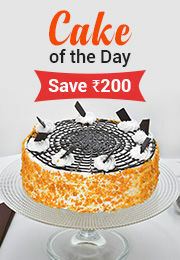 Additionally, a complimentary half kg cake and freshly brewed tea/coffee are also there on the menu.